A charming B&B is a facility with few rooms and a few guests. The buildings are often smaller than others hotels and they are located in small towns or in the most picturesque corners of the city. Other times you can find a charming B&B in the countryside and enjoy the outdoor life. With this type of hotel you can spend a relaxed holiday in any location of Italy. Charming B&B La Pecora Nera is located in Tuscany, in the little town of Mazzolla, near to Volterra. It has only three rooms and it is open all year round. The owners love to decorate the B&B with soft and romantic furniture. They are also very kind with all their guest because they want to make you feel at home as much as possible. The building was part of an old convent. When it was renovated to house the hotel, the owners have paid much attention to keep intact as much as possible the historic features of the building as you can see from the stone walls and the wooden roofs. This charming B&B is close to a farm that produce cheese and olive oil, so you can eat your breakfast with this local tasty food together with homemade cakes. All around there are gardens and trees, where you can walk and breathe clean air. From your accommodation you can visit Volterra. There are many churches and monasteries, as the cathedral of medieval origin. There is still the walls of Etruscan origin, enlarged in the Middle Ages with the Porta dell’Arco and other towers. Also there is a beautiful Roman theater. The charming B&B Chiusa della Vasca is located near to Rieti, in Lazio. This B&B has 3 nice rooms with Wi-Fi available. Each room is unique in furnishings and colors and directly connected to the garden where you can eat breakfast. 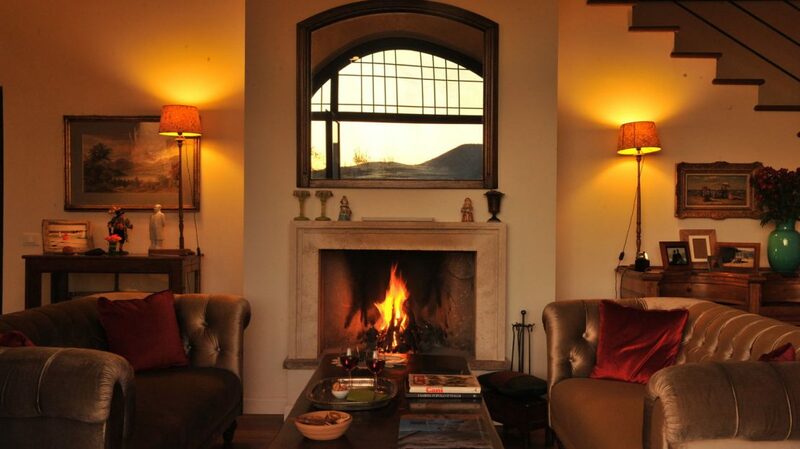 In the common areas there is a lovely lounge with fireplace and a library available to guests. During summer, outdoor you can use a cute pool as you contemplate the beautiful scenery of the country. Not far from there, there is the Abbey of Saint Mary of Farfa. This medieval religious building is formed by the church and the monastery, inside there is the crypt and the cloister. This is a place of pilgrimage and peace where you can spend a day finding yourselves in the quiet of the country. All around the country you can find some Roman Villas, the most famous are Villa Cottanello and Villa Orazio. Among the many Sanctuaries and hermitage there are the Cave of Saint Michael, a stunning church inside the rock of the mountain, and the hermitage of Saint Cataldo, also built on the mountain side. Plan your holidays in Italy and book in a charming B&B, it has all the comfort you need, just a short distance from extraordinary places to discover. I’ve discovered so far. However, what concerning the conclusion? It’s in fact very complex in this active life to listen news on TV, so I simply use world wide web for that purpose, and take the latest information. These tend to be fairly obscure, but at the price they’re asking, you might as well take a chance.